This sounds great, but what exactly is cost-benefit analysis, and how could we apply it in Toronto to improve our budgeting process? This blog post takes a closer look at this evaluation method and how it may help us make stronger, more informed decisions about the allocation of resources through the municipal budgeting process. Cost-benefit analysis (CBA) is an evaluation technique used to compare the total costs of a program with its benefits using a common metric such as dollars. You can use CBA before you start a project, in order to evaluate different potential courses of action. You can also use it afterwards, to evaluate the relative benefits of the project against the costs of delivering it. For example, a CBA could help the City decide between different locations and service options for a new community centre or library. It could also help assess the value that a newly built park has brought to the city (capturing economic, social, environmental, health and other direct and indirect benefits), versus the costs of building and maintaining it. It helps us talk about the value of policies and programs instead of just their costs: CBA helps citizens and governments to orient the budget conversation towards the value that investments can deliver. 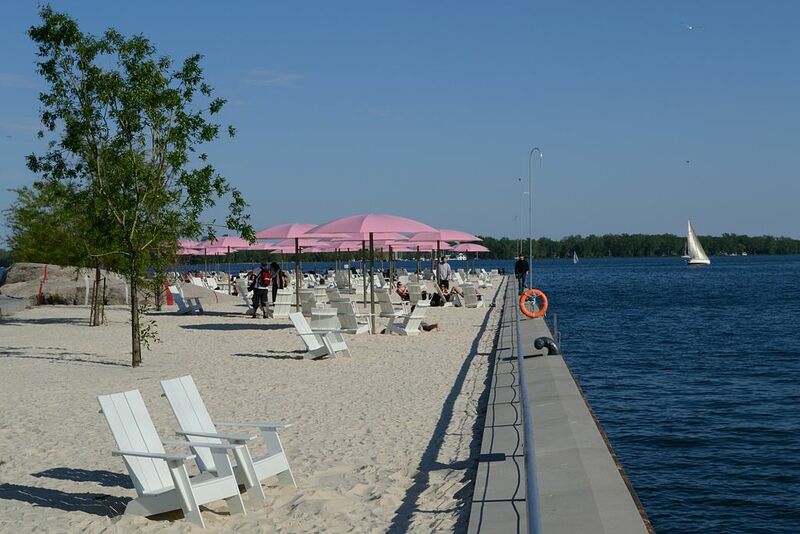 The infamous debate over the pink umbrellas at Sugar Beach pitted Deputy Mayor Denzil Minnan-Wong, who derided the umbrellas as an example of wasteful public spending, against Waterfront Toronto, which defended their cost as a small price to pay to create a memorable public space that helps drive private sector investment to the waterfront. A good CBA could help put these types of debates to bed (or at least improve their calibre) by quantifying the benefits that Sugar Beach brings to the City and its residents versus the costs of creating and maintaining the park. It can help us improve the quality of our programs: CBA and similar methodologies such as Social Return on Investment (SROI) can also drive positive outcomes simply through their application, even when their results don’t always end up influencing spending decisions. Testimonials gathered by Social Value UK illustrate how participating in SROI has helped non-profit organizations in the UK learn more about what aspects of their work drive the most value, giving them the information they need to make their programs more effective. It can help us engage more citizens in the budget conversation: The participatory nature of a good CBA or SROI analysis means they can function as a platform for engaging a broad range of stakeholders. For example, the evaluation of Growing Roots . . . Strengthening Neighbourhoods, a community capacity-building program in Hamilton, gave individual residents and neighborhood groups “a strong voice in telling their stories about the program, talking about the difference it has made in their lives, and coming together to publicly validate the findings.” Well-designed CBAs could help bring citizen’s experiences of City services to the forefront in a more comprehensive way than our current deputation-based engagement process. Build evaluation knowledge among City staff and partners using small-scale learning initiatives: Calgary Family and Community Support Services (FCSS), a joint municipal-provincial program that funds preventive social services, began exploring the potential of SROI back in 2008-2009. They started by creating learning groups for senior managers from social service agencies to come together to discuss the method and learn from experts.. FCSS-funded agencies also provided small, one-time grants to fund SROI analyses of programs like 24-hour crisis lines and seniors supportive services. With relatively minimal investment, FCSS was able to seed the conversation about evaluation by building skills and funding case studies to provide tangible illustrations of how the method works. Invite politicians and staff from other cities to tell us about their experiences: As Better Budget TO noted in its 2015 paper, it is difficult for Toronto to benchmark its performance against other Ontario cities because our scale and budget are not comparable. We have more in common with Chicago and New York City than we do with Hamilton or Ottawa, so why not invite people who are experimenting with evidence-based approaches in big international cities to visit us and share their insights with Torontonians? Get existing evidence into citizens’ hands: It’s possible to find some cost-benefit analyses and similar evaluation reports for City programs online, but often they are buried in Council reports or hosted on the sites of the consultants or academics who completed the evaluation rather than the City’s own website. What if the Budget materials produced by the City linked to all previous evaluations of programs proposed for funding, so that citizens could access them without digging? Even better would be top-line summaries using accessible language that could be easily excerpted, translated and/or shared on social media or at public events.